Out of sight, out of mind, the saying goes. With SnapSafe Specialty Safes, your valuable belongings will be out of the sight of ne’er-do- wells, and you’ll have peace of mind, knowing that they’re not only hidden but also secure. 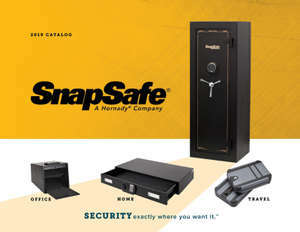 In your home or in your vehicle, SnapSafe has options that fit your space and provide protection for valuables such as rifles and handguns, tools and equipment, jewelry and collections, tablets and laptops, and important documents, like your passport or legal papers. Pry-resistant door keeps children and unauthorized users from getting inside. 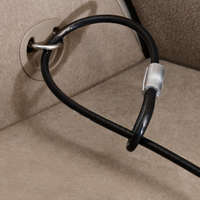 Use the robust 3-foot cable to anchor the safe to a stationary object. 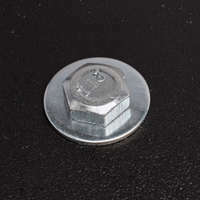 Or permanently install in your home or vehicle with pre-drilled bolt holes. 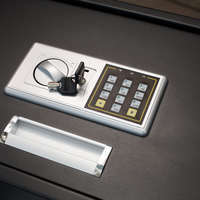 Program digital lock with 3- to 8-digit access code, or use the backup key. 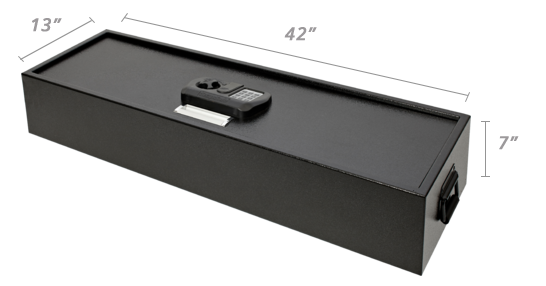 The SnapSafe Under Bed Safe XXL and Under Bed Safe Large represent a huge step up from hiding your money under the mattress. 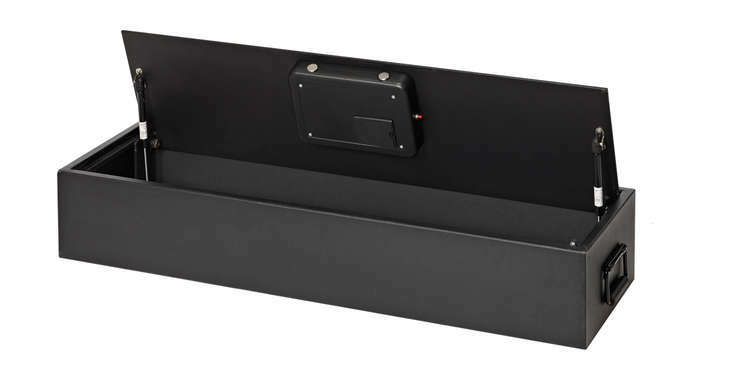 These safes easily slip under the bed, so you don’t have to find room for a bulky safe somewhere around the house. 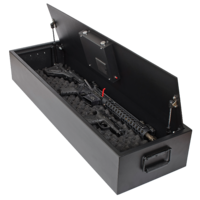 The Under Bed Safe is convenient, tough and strong — made of 14-gauge steel with a drawer rated for 150 pounds. 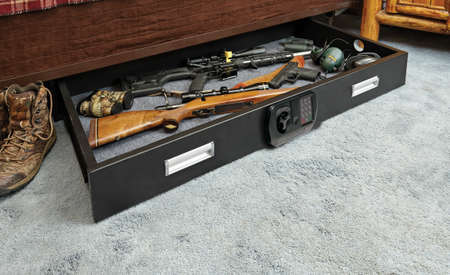 Under Bed Safes make a great place to safely stow long guns, handguns, binoculars and other gear at your hunting cabin. Even when you’re not there, you’ll know things are secure. 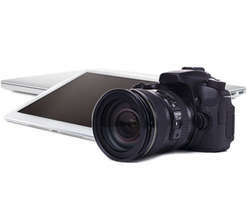 Or store cash, important documents, medications, your laptop or family heirlooms safely at home. Store valuable belongings out of sight while maintaining easy access. 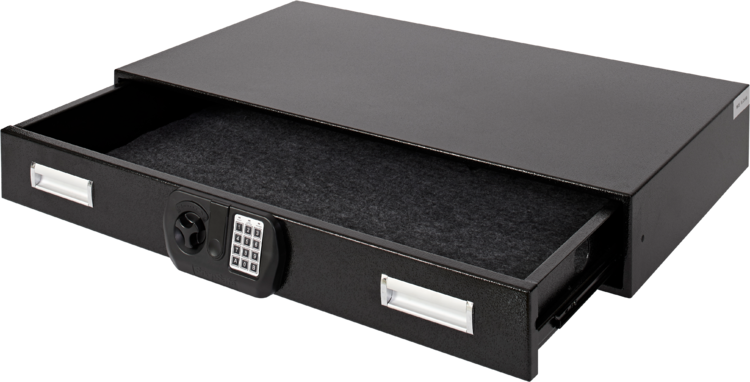 The Under Bed Safes and the SnapSafe Trunk Safe offer great options for securing valuables in your vehicle. 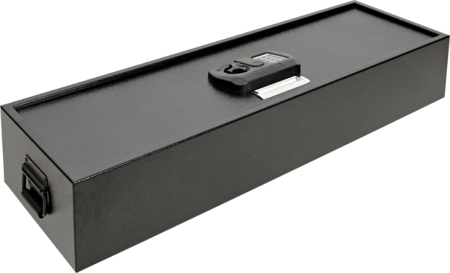 The Under Bed Safes fit nicely in the back of an SUV, and so will the Trunk Safe. But, true to its name, the Trunk Safe also fits like a glove in the trunk of a car. 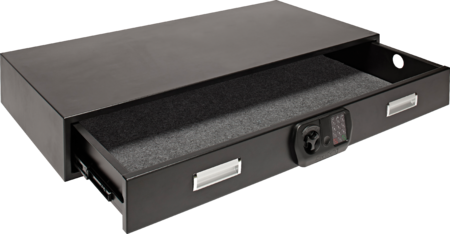 In addition to sportsmen transporting firearms, the Trunk Safe works well for law enforcement officers carrying long guns in the trunk of their patrol cars. 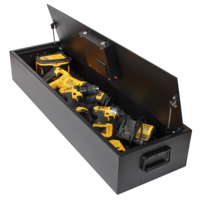 Contractors can secure power tools in their van or SUV. The Trunk Safe also provides a great solution for photographers or anyone protecting expensive tools of their trade while in the field.